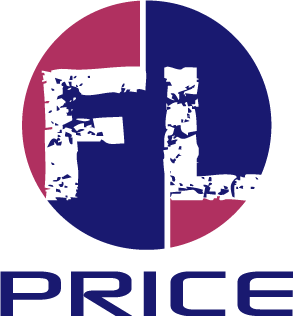 New start ups, modernizations and current owners and entrepreneurs who understand that good enough is not enough, FL Price specializes in opening team selection, placement by personality temperament type and training systems for consistent delivery. Let us help customize key revenue party and event profit centers, as well as the development of a service to experience destination culture, from design to implementation, training and on-going coaching. FLP develops culture, systems and processes to mold your business beyond the design and build phase, eliminating the costly learning curve and early brand damage. FLP will take your business to higher levels of economic value, by redefining the way you do business. Selection, training and retaining a team with personality, while living a guest experience culture, will sustain long term growth, profitability and a greater return on your investment. Developing Family Entertainment and Leisure concepts, training and touring internationally with Birthday University for the past ten years. Frank W. Price has over 20 years of hands on, practical and business consultation experience. His management skill set began in the Health and Fitness industry, developing and operating in a variety of multi function facilities at a very young age. His successful small business entrepreneurial ventures, within and outside the Family Entertainment and leisure field, has given him a unique business perspective of operations, marketing, human resources and business development. Frank’s consulting career has given him the opportunity for developing or re-engineering party/group concepts, management training and recruiting systems within companies such as MagiQuest Chicago, iPlay America, Mr. Gatti’s, Sahara Sam’s Indoor Water park, Paradise park, Jeepers, Fun Expedition and The Amazing Pizza Machine. Frank is the president of F.L. Price and Associates, a training, operations and concept development firm, based in Raleigh, North Carolina, that specializes in family fun, recreation and children’s entertainment. Frank has become the leading expert on the business of birthday parties, developing programs and installing experiential concepts, customizing manuals and training employee teams to achieve cutting edge success. Frank founded Birthday University in 2000 to answer the need for understanding the presentation of high quality commercial birthday parties. Birthday University continues to tour in it’s 10th successful year, teaching businesses like Disney, Hershey Parks and Palace Entertainment Parks, Stone Fire Pizza, Andretti Thrill Park, San Diego Ice Rink, Roseville Skate Town, The Ontario Science Center, The Florida Aquarium, Hero’s, Giggley Kids, Jump Club and thousands of other family entertainment enterprises, the business of remarkable and profitable birthday parties. Frank has custom trained at many high profile industry companies, including Adventure Zone, Skate time 209, Magic Mountain, Castle Park, Rink Management, Freedom Station, New Roc City Sports Plus, John’s Incredible Pizza, McDermitt Field House and Fun Depot . Ongoing professional development has led Frank to a variety of continuing educational venues, including Roy Williams / The Wizard of Adds Academy and Disney University. Frank has instructed at Foundations Entertainment University, ILEAI Boost your Entertainment Profits seminar series, The Bowling Institute and spoken at various FUNEXPOs, IAAPA Conventions, Paintball Extravaganza, Ice and Gymnastic conventions, National Parks & Rec, Texas & Illinois Parks & Rec, Roller Skating University, Bowl Expo, Laser Tron Workshops and World Waterpark Shows. Frank’s seminars are consistently well attended and consistently received some of the highest attendee feedback at each show.